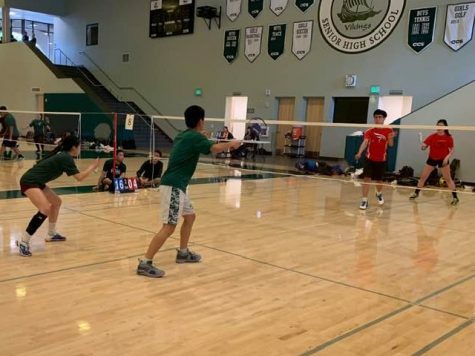 Junior Henry Badger serves while junior Jerry Hong prepares for the return during the Vikings’ match Thursday against the Titans at Gunn High School. 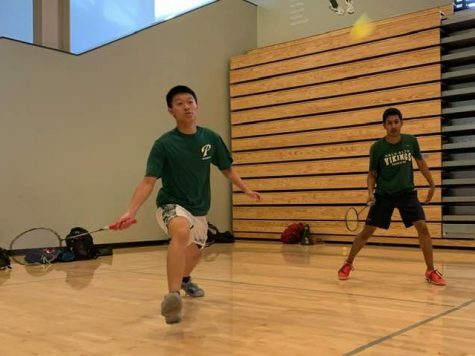 Badger and Hong lost their match in two close sets. Photo by Chirag Akella. 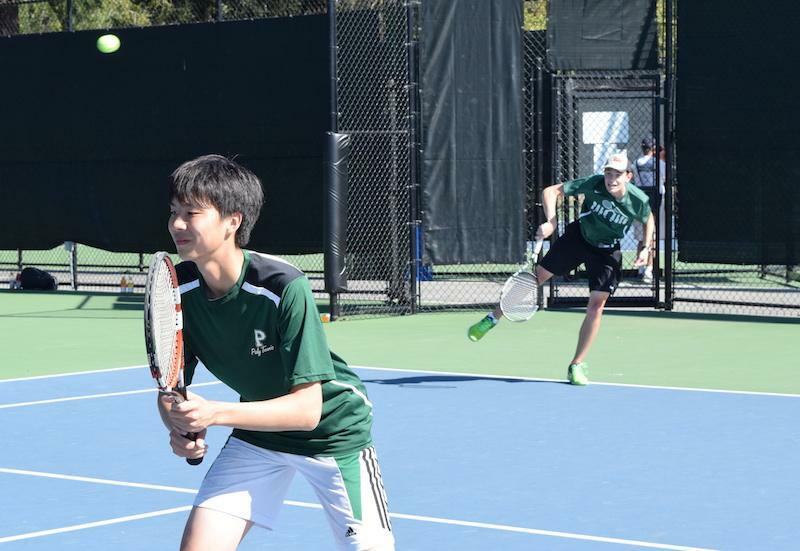 The Palo Alto High School boys’ tennis team fell to cross-town rivals Gunn High School, 5-2, in a De Anza league match on Thursday at Gunn. 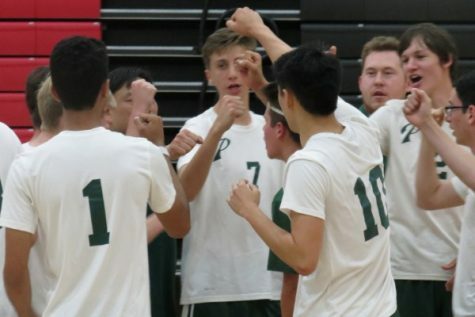 The Vikings were unable to take advantage of three-set wins by senior Shiv Matta and junior Adrian Smith, losing by the same score as they did earlier in the season. 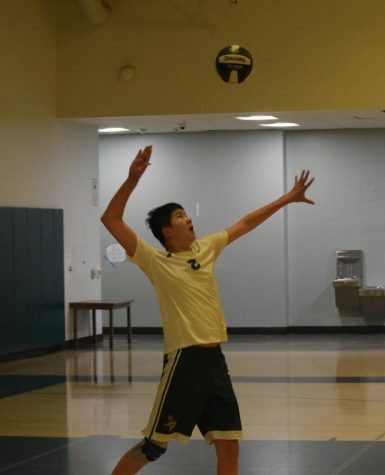 Head coach Andy Harader said that the team was missing a few key players, including senior Carl Goodfriend, which contributed to the loss. Harader said that absences have been a theme throughout the season and something that the team has struggled to deal with. 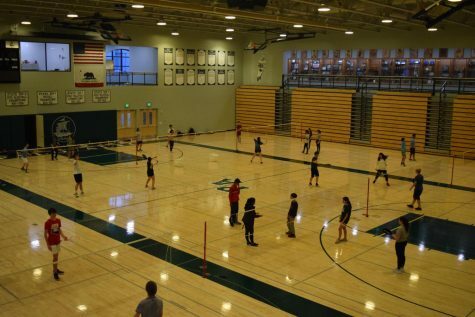 “We have had a lot of guys out with injuries and sickness and it has been hard to gain any consistency,” Harader said. Despite the loss, senior captain Shiv Matta felt that the team showed some fight against a good team. 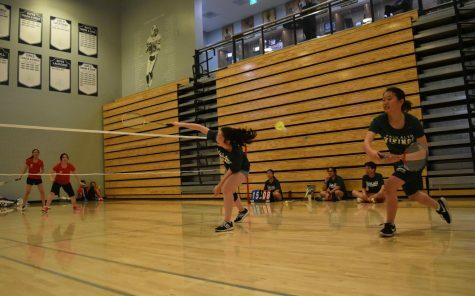 The team has already clinched a spot in next year’s De Anza league, an achievement that both the coach and players are excited about. 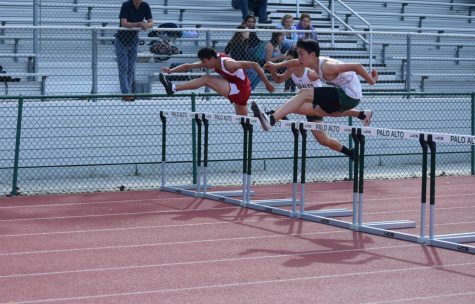 Junior Noah Galper echoed his coach’s positive sentiments. 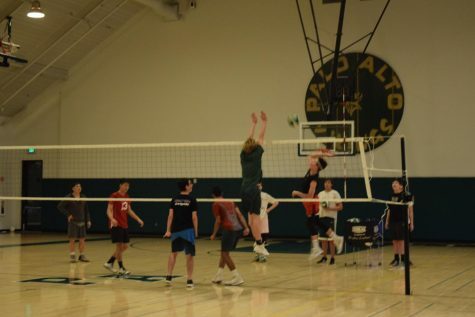 Despite not making the Central Coast Section playoffs this year, junior Henry Badger expects the team to continue to improve in order to compete next year. 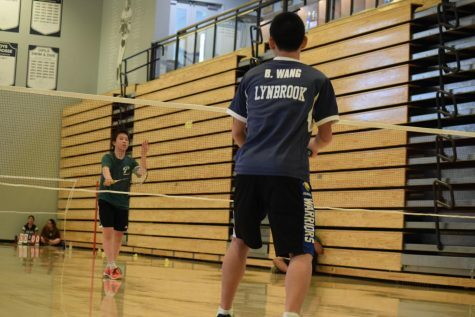 The Vikings’ next match is against Saratoga High School at 3:30 p.m. on April 12 at Saratoga.